Emini Dow Jones hit all targets as far as 26550/570 then reversed 150 ticks. We have bounced back to last week’s high at 26500/510 as I write. Further gains retest 26550/570 of course. A break higher targets 26690/710. Very minor support at 26390/370 held perfectly on the pullback yesterday. Further losses today meet a buying opportunity at 26330/310 but longs need stops below 26280. 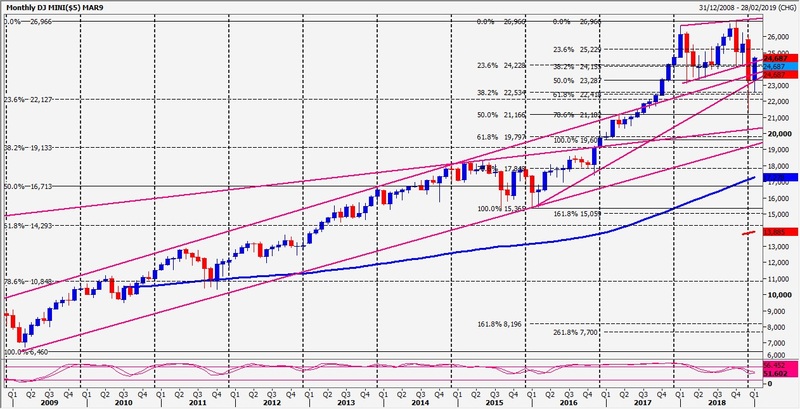 Nasdaq topped exactly at strong resistance at 7695/7705 in severely overbought conditions. However there is no sell signal so shorts are risky in the bull trend. Above tests the all time high at 7726/29. Obviously this is mega important. A double top here would be a serious sell signal. If you want to try a short, stop above 7740. Failure to beat 7695/7705 targets 7688/86 then trend line support at 7668/66. A break lower test support at 7657/54. Longs need stops below 7649.